I know that “putting off” scenario very well. I also need new glasses. Aaahmmm, it’s coming up on three years. YIKES! That’s not good. I think I’ll call and make an appointment. Thanks so much for the push. 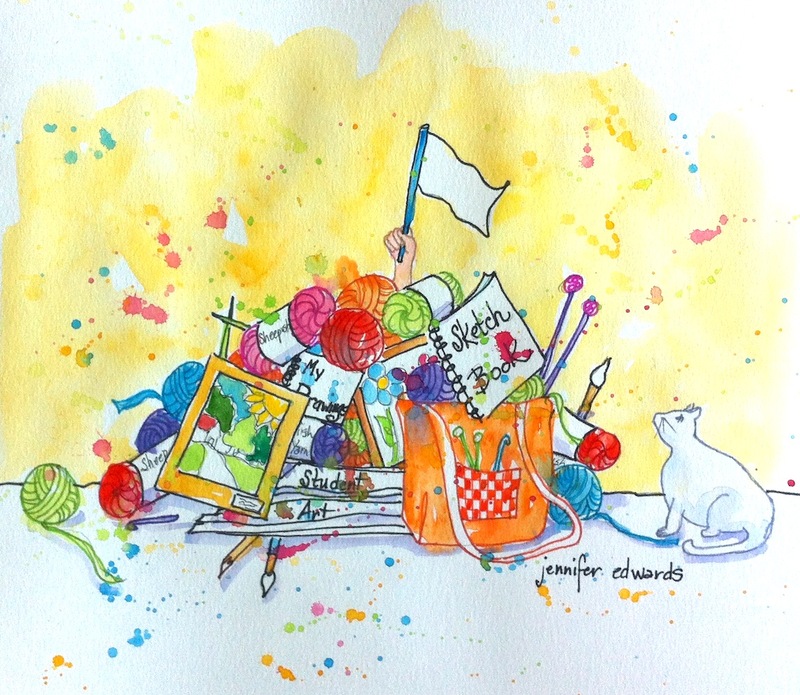 And yes, that sorting through, rethinking, decluttering, reorganizing and redesigning of the creative life and space and stuff (tools and supplies) and let’s not forget the “impulse buying”. Double YIKES! But one thing at a time. Right Jennifer? 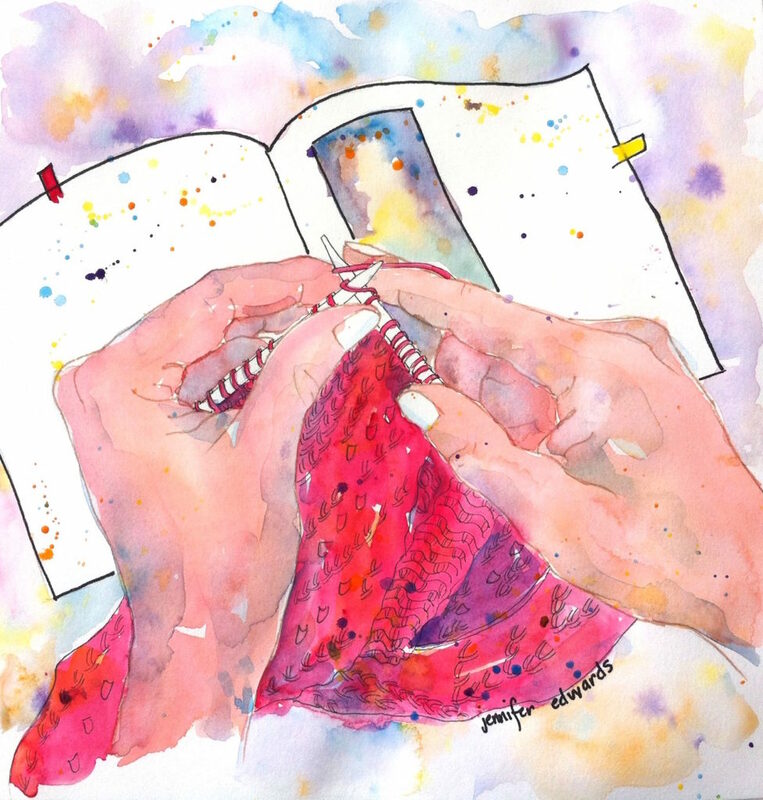 Girlfriend, I’m taking my cue from you and allowing my daily creative habit- journaling, sketching and current knitting project feed, fill, nurture and guide me to a more streamlined way of creating. Yes! One thing at a time! And I hope you can get new glasses soon. 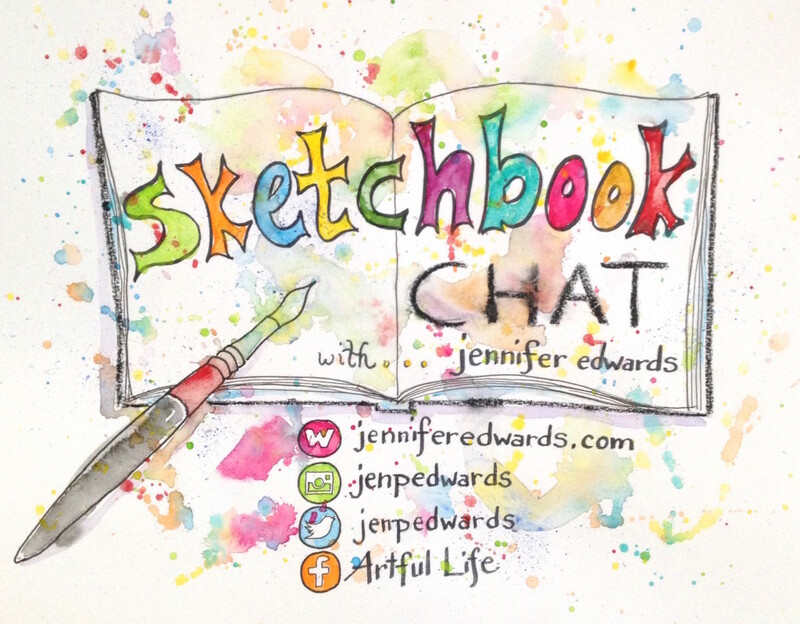 Cheers to you for ongoing sketching, knitting and journaling! Beautiful lady, beautiful words, beautiful pictures! Thanks for always sharing. Love the new specs! Ooops, forgot to mention that I think your new specs suits you’cause turquoise is so much a part of your sketching colour scheme. Hey there!! Love that you put all of this under one page!! Love so much. And love your glasses!